Dickerson, 56, will take the CEO post on Sept. 1. Dickerson, who is currently president, will replace Michael Splinter, who has been the CEO since 2003. 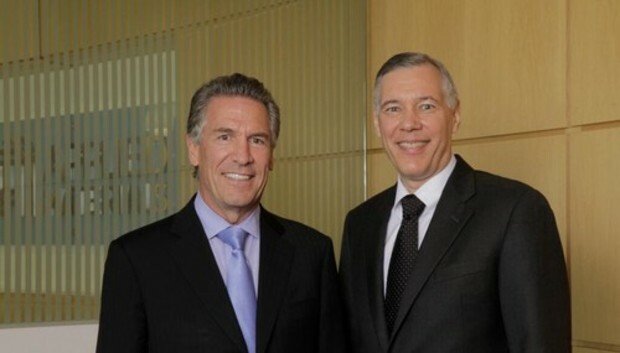 Dickerson came to Applied Materials after the 2011 acquisition of Varian Semiconductor Equipment Associates, where he was CEO. He also previously worked at KLA-Tencor. The new CEO will strengthen the company's precision engineering operations and help deliver revenue and growth, Applied Materials said in a statement Thursday. Applied Materials was one of the first semiconductor companies established in Silicon Valley when it set up shop at a small factory in Mountain View, California. The company makes tools for fabrication plants in which chips and memory are manufactured. It also makes products for solar cells and displays. The company also reported its earnings for the third quarter of fiscal 2013 on Thursday, recording profit of US$168 million, a drop from $218 million in the previous year's third quarter. Third-quarter revenue totaled $1.98 billion, falling from $2.34 billion during the previous year. Orders from factories were weak during the quarter, but company executives expect orders to pick up as fabs are updated to make smaller chips and new types of memory like 3D NAND flash. Samsung is now shipping NAND flash with chips stacked upward, which increases storage density. During his tenure as CEO, Splinter led Applied Materials to record profits and revenue, the company said. Splinter is due to receive Semiconductor Industry Association's Robert Noyce Award this year for his contributions to the industry.